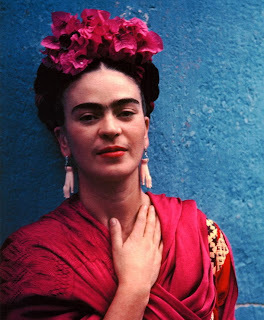 (there are fuschia buds the color of frida's headpiece blooming on the tree outside my window right now. i mourned so unexpectedly when the leaves fell off one day last fall, leaving the branches barren. little did i know they'd be replaced by these vibrant spring blossoms. Thank you for this. I needed to read this tonight. Thank you for reading it! I'm glad you're here.